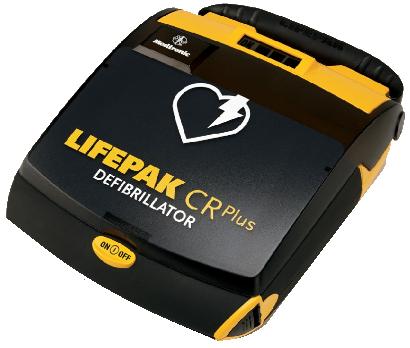 Standard Components: Every semi-automatic LIFEPAK® CR Plus defibrillator by Physio-Control Corporation comes with an installed CHARGE-PAK battery charger, QUICK-PAK electrodes, and an AED/CPR quick reference card. Includes semi-rigid carry case, Ambu Brand AED Rescue Kit, Owners manual and Training DVD. Weight: 4.5 lb with Charge Pak and electrodes. Testing: IEC60529/EN60529 IPX4 “Splash Proof”, MIL STD-810E Shock testing. Device Capacity: Typically 30 full discharges or 210 minutes of “on time” with a fully charged device. Prompting: Audible and visual with graphic. Warranty: 8 year limited warranty.